Unique architectural pattern and quality make these planters stand out and create an inviting atmosphere. 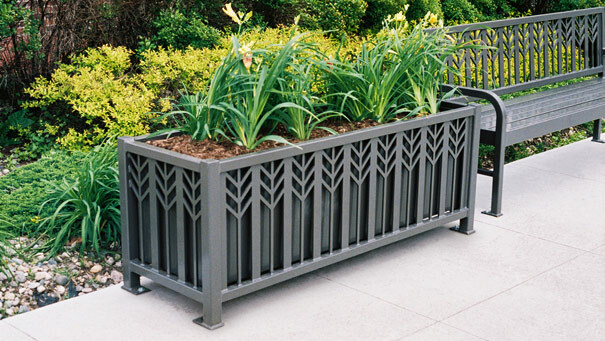 The highly durable powder-coated finish will protect even in the harshest climates. Can be mounted to the surface with the pre-drilled mounting holes or left sanding on its own. Rigid plastic liner with four drain holes included.